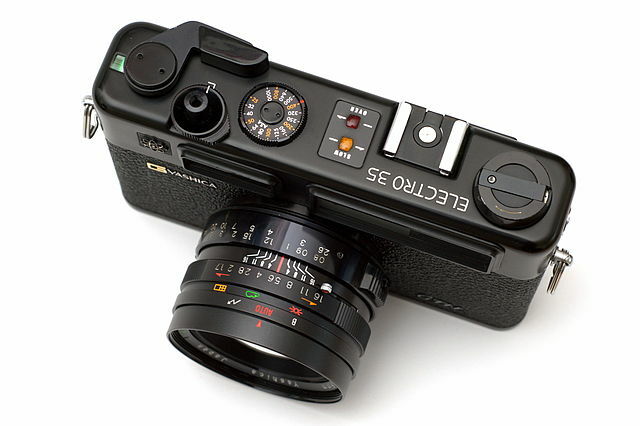 Buying an analog camera wasn’t a top priority for me, but the The Phoblographer’s Guide to Affordable Film Rangefinder Cameras article piqued my interest, so I decided to check the local auction website to see whether I could find a Yashica Electro 35 camera. I was in luck: there it was — a Yashica Electro 35 GTN in nearly perfect condition. The price was right, so I bought it on the spot. There are a few reasons why I chose this particular camera. Firstly, I like the design. The all-black body with metal top and bottom plates gives the camera an understated yet classy look. Secondly, Yashica Electro 35 is an aperture priority camera, and since I shoot in aperture priority mode most of the time, this camera is a perfect fit for me. And thirdly, this was one of the best-selling cameras of its time (according to various sources Yashica sold over eight million Electro 35s), and it remains a popular choice among analog shooters. This means that there are plenty of Yashica-related resources and helpful info (including the excellent Yashica Guy website) floating around on the web. The camera duly arrived a few days later. It was, indeed, in good working condition, requiring only minor cleaning and a fresh battery. Finding film in our neck of the woods turned out to be easier than I thought: a local dealer has a decent selection of films, and I settled for Fujifilm Superia X-TRA 400. At the first opportunity I went for a photo walk armed with my Yashica Electro 35 GTN. As I expected, shooting analog turned out to be an interesting experience. Without all the creature comforts of a DSLR camera like auto focus, easily adjustable exposure compensation, a bright, and large viewfinder, I felt like a fish on a bicycle in the beginning. It took me about 10-15 shots to master the basics. A typical November day in Denmark doesn’t offer a lot of light, so I was shooting in low light most of the time. The viewfinder in Yashica is rather dim by modern standards, so focusing was somewhat challenging at times. On the plus side, the 45mm f/1.7 Color Yashinon lens proved to be fast enough for low-light shooting. 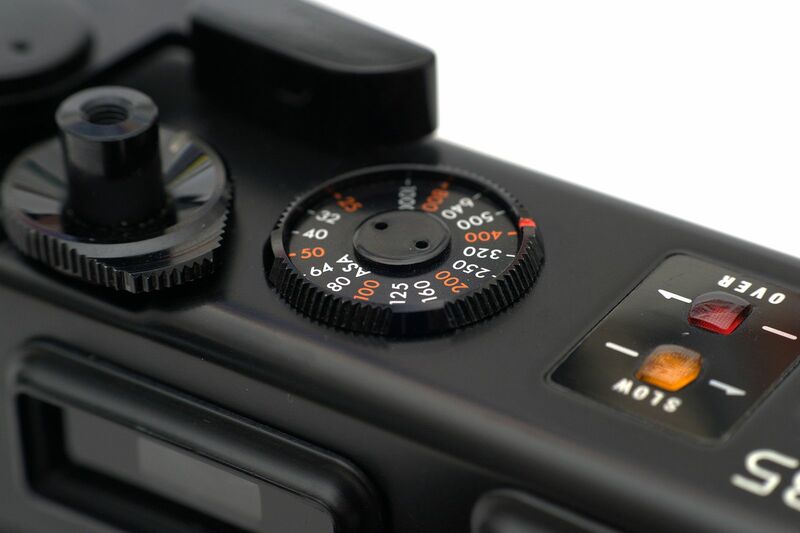 Of course, there is no such thing as EXIF metadata in analog photography which would have been valuable for mastering the finer points of exposure and improving my analog photography skills. I’m contemplating the idea of creating a simple database on my Android device for keeping track of important bits like aperture, ISO, film type, and so on. Overall, shooting film proved to be a refreshing and even liberating experience. There is no need to worry about developing RAW files and post-processing images. I use digiKam to organize digitized photos, but the images themselves don’t require much tweaking, save for the occasional cropping and straightening. The only problem so far is that my lab delivers digitized photos in a rather low resolution, so I need to figure out how to convert negatives to high-resolution files. So far, I only had a chance to take the Yashica Electro 35 GTN for a rather short photo walk, and I only have a few shots to show. But rest assured, it’s not the last time I shoot with this gem of a camera. What battery did you use for GTN? I think Mercury batts are not available anymore. I use a 4LR44 battery with an adapter.